Do you know that carbonated water is good for health? It is said that carbonated water improves blood flow. One day I found that I needed the bath room more than usual after I drank a glass of carbonated water. This means, in my case, my blood flow is getting better. Therefore, I asked a sparkling water specialist, Monokuro san, on which brand of sparkling water would suit my taste. I don’t like sparkling water that is too strong or has too much bubbles in it. 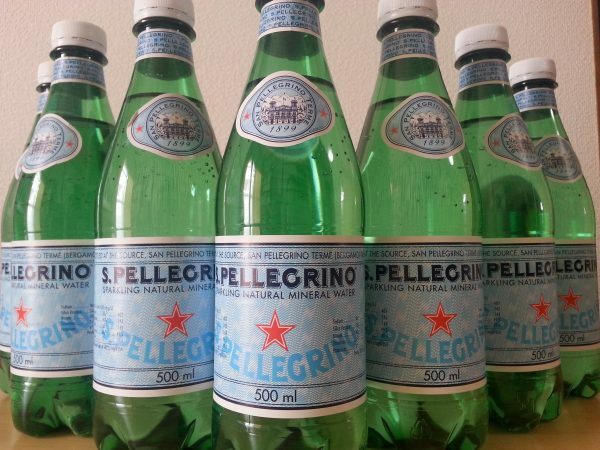 He answered quickly “S.PELLEGRINO”. He knows everything and can give me an answer very quickly on whatever question I ask. He is amazing. Then, I ordered 24 bottles, 500 ml each. I like it! The taste is so good! And the bubbles are not so strong. With this S.PELLEGRINO, I am sure I can survive this upcoming hot summer without any problem!